1795 - Premiere of Haydn's Symphony No. 104. 1883 - Russian composer Nikolai Malko was born. He later became Director of the Sydney Symphony Orchestra. 1886 - The gramophone (first practical recorder player) was patented. 1920 - The first American orchestra to make a European tour (Symphony Society of New York) performed in Paris. 1928 - Jazz trumpeter Maynard Ferguson was born. 1959 - The first Grammy Awards. 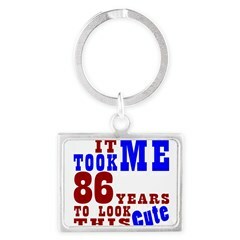 1964 - Hello Dolly by Louis Armstrong was #1 on the pop charts. 1974 - Abba got their first #1 hit on pop charts in the UK with Waterloo. 1984 - Composer Larry Stock (of Blueberry Hill and You're Nobody 'til Somebody Loves You fame) died at age 87. By the way, the link at which you can hear You're Nobody 'til Somebody Loves You is a WONDERFUL collection of early Doo Wop hits. If all you no of Doo Wop is Little Richard's Tutti Frutti, click the link and find out what led up to "Awop-bop-a-loo-mop-alop-bam-boom." Christian Ferras, Ivry Gitlis and Arthur Grumiaux were also mentored by Enescu. By the time Enescu died in his hometown on May 4, 1955, Enescu had become internationally known as violinist and composer. He had served on juries for numerous international violin competitions. He had composed for solo instruments, quartets, chamber ensembles and orchestras, as well as in the field of opera. He promoted contemporary Romanian music, playing works by Constantin Silvestri, Mihail Jora, Ionel Perlea and Martian Negrea. Enescu was interred in the P�re Lachaise Cemetery in Paris. The Symphony Orchestra of Bucharest is named in Enescu's honor, and the city is also home to a museum, established in his memory. In 1895 Enescu moved to Paris to study violin with Armand Marsick, harmony with Andr� G�ldage, and composition with Jules Massenet and Gabriel Faur�. When Enescu was still only 13, Massenet wrote to Enescu's father, "Your son is an exceptional individual; his is the most interesting musical constitution there can be". Completed in 1895, and probably debuted by Enescu himself in 1896, the Ballade for Violin and Orchestra (op. 4a) was apparently the first instrumental solo premiered, followed in 1897 by his Sonata for Violin and Piano (op. 2). By the age of 16 he had written four Study Symphonies. But don't be deceived into believing that Enescu had given up the violin. July 25, 1898 George Enescu won second prize (in a field of 33 competitors) in the Paris Conservatoire's violin competition for his execution of Viotti's Concerto No.29. August 2, 1899 he won the Grand Prize in the Academy of Paris's violin competition. Thus began a brilliant career as both violinist and composer. Enescu travelled widely, but always seemed to return to Romania. He resided in Paris for several periods, and made serveral tours abroad. 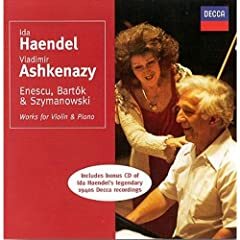 Another contribution Enescu made to the music world was his mentoring of the young Yehudi Menuhin beginning in 1928. 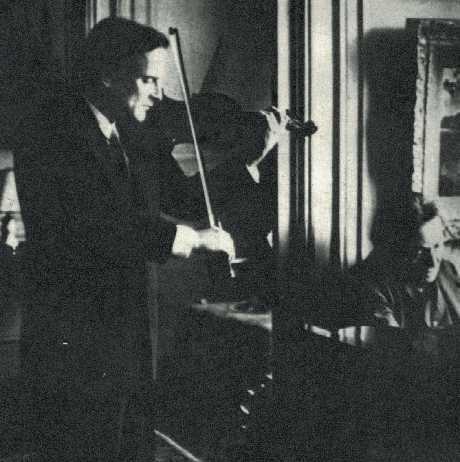 In addition to teaching young Menuhin, Enescu and Menuhin collaborated in several concerts through 1950. 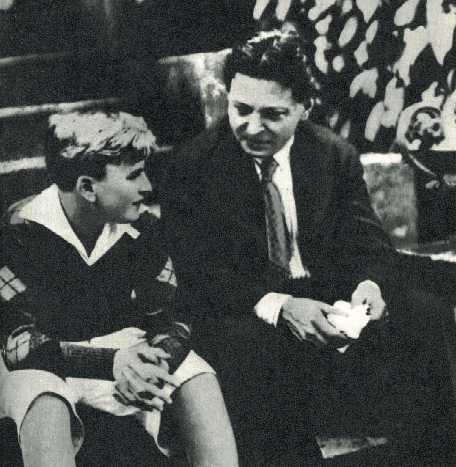 Georges Enescu and 13-year old Yehudi Menuhin. In the movie version of Hello Dolly Michael Crawford played Cornelius Hackl. Crawford had a great deal of success in his later career, and played a character on the London stage who only shows half his face for the majority of the show. Can You Guess what play that was, and what part Michael played? 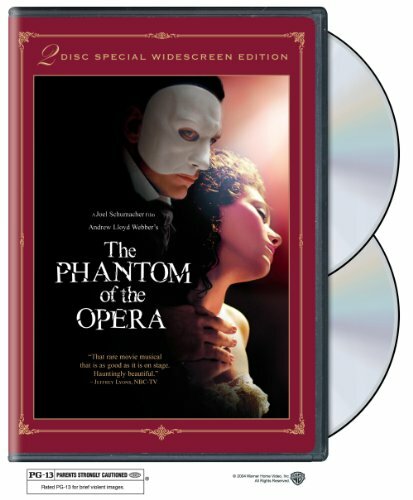 Extra Credit: What is Michael Crawford's birth name? 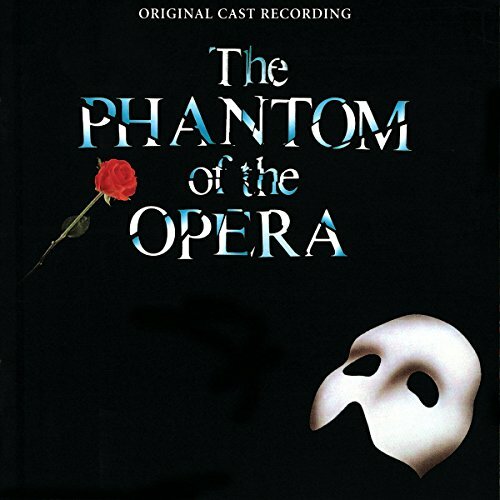 Michael Patrick Dumble-Smith (yes, that is his birth name) played The Phantom in The Phantom of the Opera!